Talented vegan cook, our own Alison, is running this class. 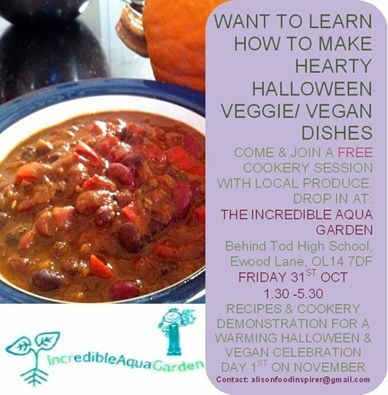 Don’t be SPOOOKED by vegan and veggie cooking, just go along and learn how easy it is The event is free. Mwah ha ha!! !